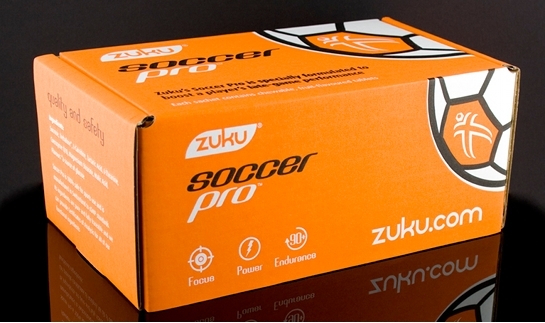 We’ve mentioned Zuku Products before here on Footy-Boots.com, and I’ve got to admit – I was a little sceptical. I’ve never tried the Soccer Plus tabs, or anything like them before. Call me cynical, but when did the half-time orange and a quick squirt from the club water-bottles (that, no matter how much you wash them, always make the water taste like bleach and plastic) stop being enough? But, Zuku have been in business a few years now, and so must be doing something right. Not to mention that I know one or two people who swear by the Soccer Pro range. So…I caved, I got myself a couple of packets and have been trialling them with a few of my teammates across the last couple of weeks. 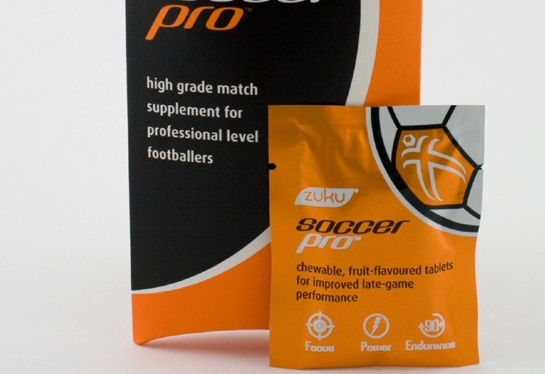 Soccer Pro tabs come in a little rip-open foil packet, with 4 little orange and white hexagonal tabs inside. This in itself is a nice bit of consideration from Zuku, exact dosage per packet that’s kept individual and easy to find in your kitbag is ideal for ripping open and scarfing during your managers team talk (2 Ranks of 4 lads! We can win the second half! This is just a practice game now, there’s always next week! etc. etc.). Soccer Pro tastes just about exactly the same as every orange-flavoured supplement you’ve ever had before; you know, that sort of sharp orange-y taste that makes the edges of your tongue tingle? That one. It’s still tastes nicer than new Sunny Delight though. Now this was the part that surprised me; I actually did feel an improvement in several areas of my body that would normally by flagging a little, throughout the second half. I’ve always had a bit of an issue with the tops of my knees and the lower half of my quads becoming achey and heavy as the 90th minute draws nearer. 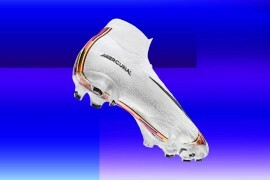 Whilst Soccer Pro did not eliminate the problem, it did reduce it greatly. I wasn’t the only one, the other members of the team said they felt less heavy-limbed. Another of my teammates is prone to a bit of cramp, and hasn’t felt any of that horrible muscle-wrenching pull that signals the onset of cramp since having a packet of these chalky orange tablets at half time. So, Soccer Pro seems to stave off cramp and relieve standard muscle fatigue, which is pretty impressive – but it also claims to boost focus and concentration. While I was sat asking the guys what they thought of this aspect, the agreement seemed to be that normally these little niggles such as a twinge of cramp or a case of heavy legs will often distract you from your game and put you in a negative mindset – but if these Soccer Plus tabs do prevent the physical problems, this allows you to concentrate on the match for longer. 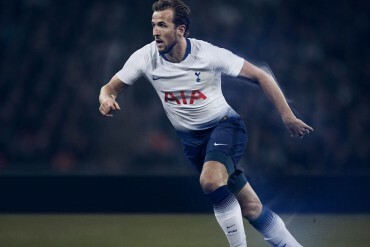 Whilst the phrase ‘Nutraceuticals’ makes me cringe almost as much as certain sports drinks telling me that my ‘electrolytes are imbalanced’, I’ve got to tip my hat to whatever makes Soccer Pro do what it does – whether it’s a genuine improvement or a placebo – it’s certainly helped with my heavy legs. I’m aware that I’m in danger of coming off like an advert, and there will be certain people who are happy with running for 90 minutes scoffing at me and my Grandad-knees (No doubt whilst doing abdominal-crunch number 453 of their 1000-a-day regime). 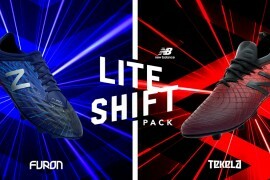 So what I will recommend is this: if you’re coming back from an injury, struggle with muddy pitches, playing uphill or maybe for the first couple of weeks of the season, get a small packet just to help you along a bit until you get your fitness and confidence back – (it’s got to be worth the cost of 3 games match fee), and if you think they’re really working for you then maybe look at getting some more. Leave us a comment below if you’ve tried this product or anything similar – we’d love to try out more products and report back what we think! Or – tell us on our Twitter account! Can of red bull and a boost bar is my pre match ritual. Great review, I’ve also never heard of this energy supplement. I tend to use energy drinks like lucozade and red bull too. Can you please explain why you get 4 tabs in each pack? Are you meant to take all of them during the course of the game, or just one of them and save the rest for another game? If the latter then why are they all different sizes? According to the packet; You’re meant to take all four at half-time. In reality, the tabs are all the same size, it’s just that promotional picture’s a little misleading! As for why there are 4 and not just 1 big one? I guess it might be easier to chew, or maybe less likely to break in your bag!